Are you depressed about the poor photo quality and recorded video underwater? Often the photographers are under dilemma despite trying their best efforts to shoot high quality videos underwater. If all other settings are appropriate, it is due to the absence of using the right GoPro filters for shooting videos under greater water depths. The problem is that most novice buyers are completely clueless about the need of filters in their GoPro camera. It is high time to research on the necessity of filters during underwater video shooting. The filters play the key role in boosting contrast and minimize the glare effects while shooting under different light conditions. Most of the times, the available camera settings do not give you the desired video quality under the influence of certain climatic conditions. You are left with no other option but to use the camera filter. This filter kit is specially designed for the GoPro Hero5 and fits perfectly in the SuperSuit housing for this model. The package includes snorkel, red and magenta filters. The advanced proprietary color impact on these GoPro filters gives you the best results when shooting tropical underwater videos. The right filter choice gives you the desired color effect saving your efforts with the color correction during the postproduction editing. The perfect fit for the supersuit housing allows the users with easy camera assembling. The special snorkel filter fits your needs for shallow water photography at a varying depth of 5 to 20ft. The filter frame fits the GoPro Hero3 naked, Hero3 Plus and Hero 4 cameras. The HD glass frame allows capturing high-resolution images and videos with greater quality output. With easy sliding installation, you can set up your camera and ready to go quickly for your underwater sporting adventure while capturing every moment to immortalize the events. The water protective frame is designed for shooting without the GoPro housing. Create the desired blur effect with the neutral filter support even with very high shutter speed cameras like the GoPro Hero3 Plus. This filter set is suitable for cameras with standard housing like GoPro Hero3 and Hero4. The kit offers best support for deep-water divers. There are GoPro filters for blue water with varying depths 5-20ft, 20-50ft, 50+ft. Additionally, there are other filters including the universal green water filter (magenta), red filter and yellow filter for night shooting. The package also contains a mounting frame to position your camera as needed. The package is compatible for using in GoPro Hero3 and Hero4. This combination kit is a pack of 5 useful filters to suit different requirements of underwater photography. You can choose from yellow, red and magenta filters according to different needs. The kit contains three different red filters including 5-20ft, 20-50ft, 50+ft for shooting at various depths underwater. 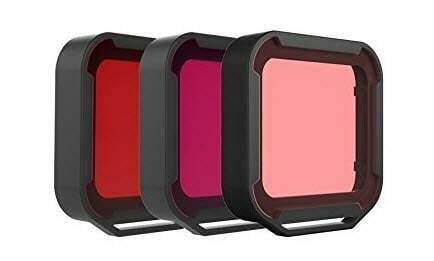 The special magenta filter suits shooting in extreme algae water of depth 20ft to 130ft. There is also a yellow filter for night video shooting at depths up to 130ft. Place the required filter under waterproof housing to achieve better effects with the contrasts, color effect etc. 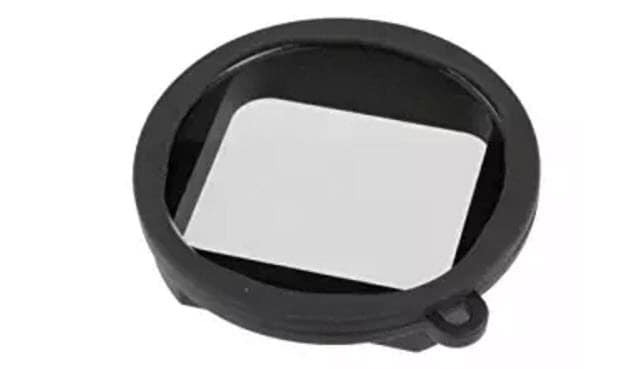 The PolarPro Polarizer Glass Filter is best suited for GoPro Hero3 and Hero4 cameras. It also fits in cameras with 40M housing and LCD cameras. Use it to reduce the glare during underwater shooting for images, videos etc. It also helps to improve the quality of color saturation and picture contrast features. This HD glass filter optimizes the clarity and sharpness of the captured videos and photos. The filter works excellent while shooting in snow, underwater and sky where the glare can interfere with the quality of the captured video. With the brightness control capacity of the tool, it will make your photos and videos look more realistic with a refined touch. 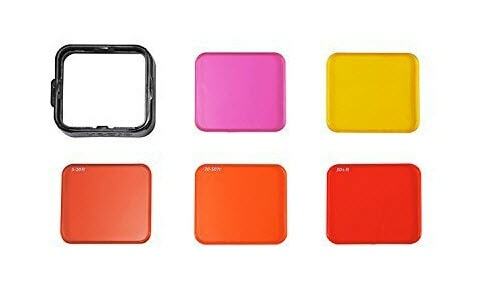 If you have not heard of the GoPro filters before, it is important to consider that you will find different types of filters when buying. Choosing the right one depending on your requirements plays the key role in determining your video capturing success. 1. Red Filte: Works great for shooting in blue water. Best Usage 1: Using macro with red filter is great idea so that you can shoot under natural light. (You do not need the video flashlights as the red filter produces the red color effect). You can also use the macro filter only. You can also use the red filter only avoiding the macro lens. Also, check Switchblade- excellent among the GoPro filters for flexible adjustments for everything you need. 4. Switchblade 2.0 Filter: Gives you the facility to use macro and red filter together. 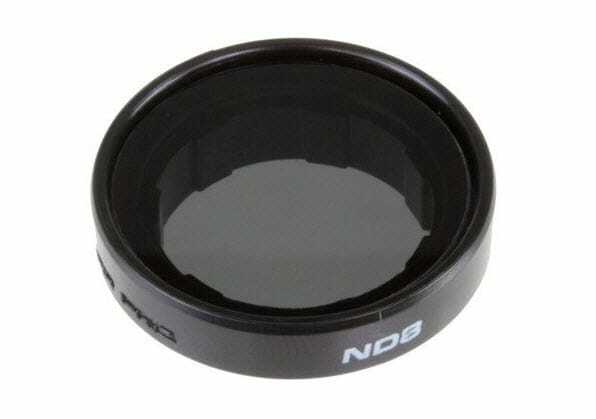 You can also flip between red filter for shooting at wide-angle and the macro lens for capturing small subjects. Best Usage 2: Disable the ‘fisheye effect’. Capture from a close angle to fill the entire frame with the main subject to show more detailed, refine and astonishing footage.